MDC leader Nelson Chamisa has invited his Zanu-PF counterpart President Emmerson Mnangagwa for urgent "real talks" to rescue the country's sinking economy, saying the opposition had capacity to initiate the process on neutral ground. Chamisa made the call in Chitungwiza on Friday while addressing stakeholders during commemorations of the International Women's Day. "We are saying there should be dialogue in this country. Threats will not work. Soldiers and police (must) follow the Constitution and respect people. No dictator can ever remain in power. That is why I am asking this man to come forward for these talks," he said. "I am not tough as he (Mnangagwa) says; I have always done what people advocated for. He wants me to go back to Parliament. I have been in Parliament since 2003, what for? I was given a mandate by people, but Mnangagwa wants me to be a casual worker again. That's why we are saying this country needs dialogue. They are refusing to have this dialogue. I have been patient with him for too long and I am considerate. I can easily mobilise a committee and call for an emergency dialogue, the Constitution allows for that." The youthful opposition leader said Mnangagwa should stop wasting State resources holding talks with minor opposition parties with no representation in Parliament and local authorities and leaving out the MDC. Mnangagwa has, in the past few weeks, held two meetings with at least 20 losing presidential candidates in last year's elections minus Chamisa and Joice Mujuru, of National People's Party, who snubbed the indaba, accusing the Zanu-PF leader of being insincere. Since then, other opposition leaders have also pulled out of the talks, demanding an independent convener and neutral venue. Those who have pulled out include Daniel Shumba of the United Democratic Alliance, Build Zimbabwe's Noah Manyika and Alliance for People's Agenda's Nkosana Moyo. Former Deputy Prime Minister Arthur Mutambara made similar observations last week, saying Mnangagwa should dump other minor parties and just engage Chamisa's MDC. Responding to Chamisa's invite for talks, Zanu-PF national spokesperson Simon Khaya Moyo challenged the opposition leader to "do the basic things, recognise that Mnangagwa is the leader and then engage him directly". "He should stop dialoguing in newspapers, but get to the President directly if he thinks he needs that attention. The President's doors are open and he can go there. But first things first, he must recognise the President, then be able to talk to him," Moyo said. 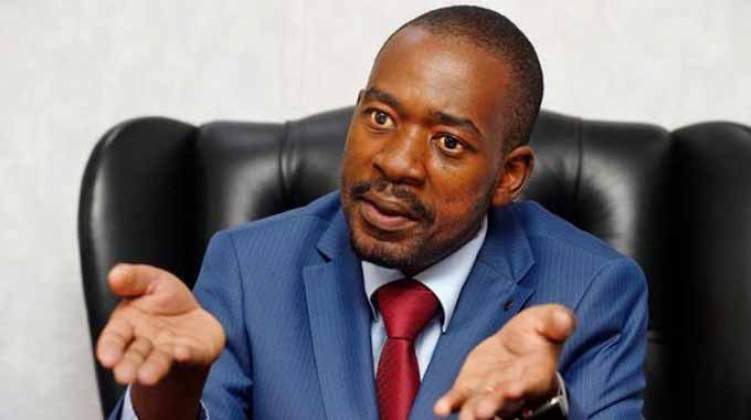 Chamisa narrowly lost last year's hotly contested elections to Mnangagwa and has refused to accept Mnangagwa's legitimacy even after losing the presidential election challenge at the Constitutional Court. Several international bodies, including the European Union, have called for dialogue between Mnangagwa and Chamisa to address the legitimacy issue, which has been cited as the major stumbling block to the country's engagement efforts and economic revival plans. Some local church groups have also offered to broker the talks, but both Zanu-PF and the MDC have remained deeply entrenched in their hardline party stances. Mnangagwa has insisted that he would only engage Chamisa if the latter recognises his legitimacy.